"I am a wandering Fakir, come on a mission and no different from any of you. When my work is accomplished, I will take "Maha Samadhi". I have come to unite Sai devotees who are unaware of Sai's reincarnation and for all, my message is that the avatar of this time is none other than Bhagwan Sri Sathya Sai Baba. All of you should pray to him, keep his form in mind and work together in love, peace and harmony"
H. H. Sri Sai Das Babaji first came to Nottingham, England in March 1993. He came on invitation from Mr. P. N. Sharma, during that first visit, many people became devoted to Sai and a family, a Sai Parivar, was born. Babaji stayed for two weeks and during that trip made a permanent place for himself in the hearts of the devotees. The love Baba has given many of people during his visits at Nottingham is inexpressible in words, it really has to be experienced. 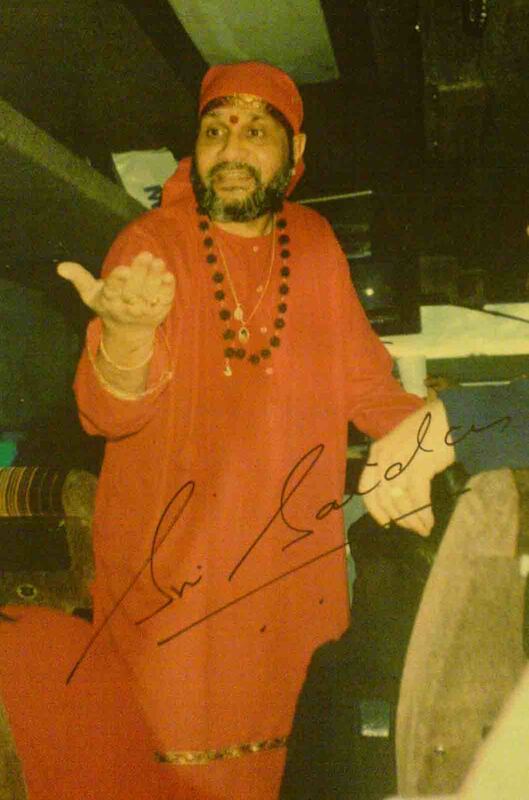 In Babajis last few years before passing away he setup many Sai Dham’s, or temples around the world, the first being Sai Dham in Nottingham. He was also the international chairman of Prashanti Dham in Ujjain, India, the head quarters of Sai Foundation orgniasations around the world. For more information on the story behind Sai Dham Nottingham click here. 'Avatar' is a Sanskrit word meaning the descent of the divine. The last full Avatar of Vishnu in the Hindu religion was Lord Krishna 5000 years ago. In todays Kali Yuga, the Avatar of Lord Shiva descended as Sri Shirdi Sai Baba and now as Bhagawan Sri Sri Sri Sathya Sai Baba. Along with them have descended saints and sages, who have also come in human form, to assist the Lord in His Mission. The bodies may be different, but the Soul is one. Like God, saints are always dependent on their devotees who fully surrender to them and worship them with their hearts and souls. The Sai Prema that Sai Das Babaji showed is the key that unlocks the stoniest of hearts. He brings Sai to all who come across him. To Shirdi Sai devotees, when he declares that Shirdi Sai and Sathya Sai are one, they begin to realize that truth. For ardent Sathya Sai devotees who have always felt a pang at not finding even a picture of Bhagawan Sathya Sai adorning established Shirdi Mandirs, Babaji is like a breath of fresh air, for whenever he did Praan Prathishtaan of Shirdi Sai idols in Sai Mandirs, he makes sure that large pictures of Bhagawan Sathya Sai grace the Mandir. Innumerable devotees have had His Darshan in different Swaroopas (forms). His affable and all caring attitude is reflected in his genuine concern for his followers. Babaji considers Himself a humble Vibhuti of the Lord, in his time he was always engaged in spreading the message of universal love and busy in making people realise Sai. His humility and modesty, his caring and sharing attitude, his electrifying presence gives away the Sai love in him. Little is known about Babaji before he appeared in 1991 in the Shirdi Sai Temple, WRS Colony, Raipur India. As revealed by Babaji Himself, the infant Sai Das was born around 1940 on Vijayadashmi Day (Dussehra) to very poor parents who were on a pilgrimage of the various Jyotirlingams. When this son arrived in the forests near Shirdi, due to abject poverty they abandoned the baby in the jungles of Shirdi praying to Lord Shiva to take care of him. The mother passed away subsequently and after the pilgrimage the father spent his last days at the Mahakaleshwar temple at Ujjain. The abandoned infant was found crying in the dense forests of Shirdi by a Fakir (saint). A childless couple, Shri Yarlagadda Venkatanarayana and his wife Raghavamma prayed for a child before the idol of Bhagawan Sri Shirdi Sai Baba in the Samadhi Mandir in Shirdi. As soon as they came out of the temple, the Fakir handed over the child to them saying that their prayers had been answered. They were highly religious and God fearing people. They took the baby as a gift of Shirdi Sai Baba and named him Sai Das. They took him home to Tirupathi and returned to Shirdi where they lived. Babaji says that even by the age of three, he knew his mission in life. Sai Das Baba then visited Tirumala, Tirupati and Puttaparthi and returned to Shirdi. He then realized that Parthi (Sathya) Sai was none other than Shirdi Sai come again. He started to tell the world that Sai is one and that Shirdi Sai has reincarnated as Sathya Sai so that the fountains of Sai Prema may continue to flow. For several decades Sai Das Babaji lived in Shirdi and when opportunities arose visited various religious places. He never went to any school or college. Whatever he is today, he humbly attributes it to the Grace of Bhagawan Sainath. At Raipur and Ujjain, the simple folk were struck by Baba's divinity. He was recognised as a traveling saint who distributed Sai Prema here, there and everywhere. Sathguru Sri Sai Das Babaji is an apostle of love and peace. He kindles the light of Bhakti, Seva and Prema in the hearts of people. He establishes Dharma, maintains human values and mends the mental make up towards spiritualism. H.H. Sri Sai Das Babaji spreads the message that Sai is the God come in human form, as Shirdi Sai and Sathya Sai. Sri Sai Das Babaji's favourite prayer is "Baba chalo mere saath, raho mere saath, mera kaam karke do” meaning Baba come with me, be with me and do my work for me. His favourite Shloka (poetic verse) is "Ananyashchinthayantho maam ye janah paryupaasate. 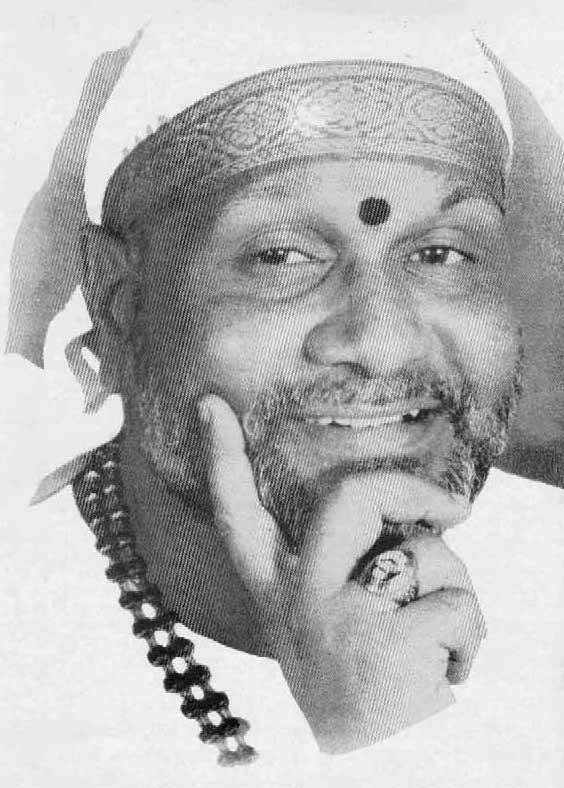 Theshaam nithyabhi yukthanaam yoga kshemam vahaamyaham". The gist of this Shloka from the Bhagawad Gita is, if a devotee thinks single mindedly about the Lord all the time and puts all his burdens on him, then the Lord vouches that he will be responsible for the devotee's welfare. Our Sathguru H.H. Sri Sai Das Babaji shed his mortal coils and took Mahasamadhi on 1st September 2006, the Mahasmadhi programme of our Samarth Sathguru Sri Sai Das Babaji was held at Prashanti Dham, Ujjain on September 4th 2006. Henceforth, 1st September every year is commemorated as Aradhana Day at Sai Dham for Babaji. We know Babaji is still with us spiritually, we bow our heads at the Lotus Feet of Sathguru Sri Sai Das Babaji and hope we can take his guidance he gave to become closer to God.